Like all Mets fans, I absolutely hated Mel Rojas’ stint with the Mets. I try to refrain myself from hating people but his short time in Queens, a year and a half of wearing the Orange & Blue felt like a decade of absolute misery. But let’s take an inside look back at Rojas and his tenure with the Mets approximately 22 years later. Rojas, who is cousins with former Mets outfielder Moises Alou, signed on with the Montreal Expos in 1985 as an amateur free agent and made his debut against the Mets in 1990, going 2/3rds of an inning with a strikeout. 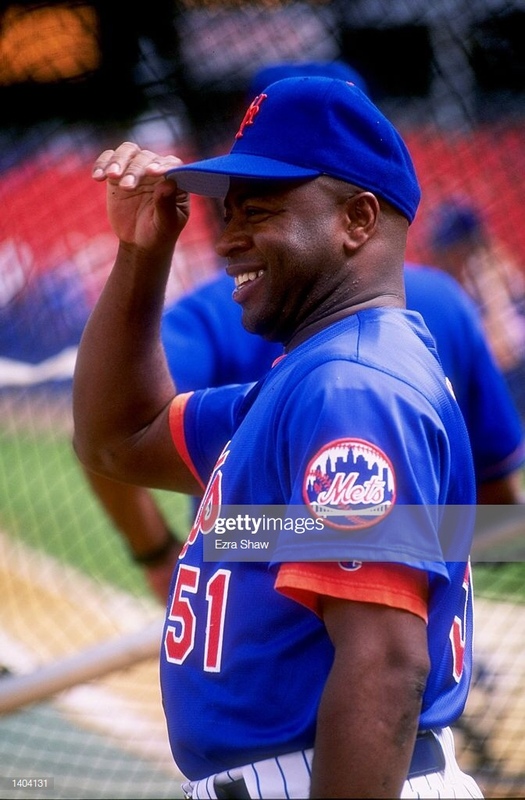 The Mets would eventually acquire Rojas in the middle of 1997 with centerfielder Brian McRae and spunky reliever Turk Rojas for speedster Lance Johnson, starting pitcher Mark Clark, and infielder Manny Alexander. Rojas went 0-2 with 5.13 ERA in ’97 in 23 games pitched, tossing 26.1 innings, giving up 24 hits, four of which were home runs. He also struck out 32 batters in that small sample. It didn’t get better for the right handed reliever in ’98, he appeared in 50 games for the Mets and sported a 6.05 ERA with a 5-2 record over 58 innings pitched. One of the most memorable and infamous moments for Rojas in ’98 is when Bobby Valentine inexplicably opted to go with Rojas instead of a LHP to face Yankees Paul O’Neill. Rojas would give up a home run to O’Neill, giving the Yankees the 6-4 lead as they took the victory. In 73 games pitched over 84.1 innings, Rojas gave up 92 hits, 56 runs (54 earned), and 13 home runs. Rojas wouldn’t have been so terrible if a majority of hits against him weren’t so impactful. However, that’s the exact opposite of the case. What makes this super special is that prior to the 1999 season, the Mets traded Rojas straight up to the Dodgers for Mets fan favorite Bobby Bonilla. Next Syndergaard & Strasburg go toe to toe in a heavyweight exchange.